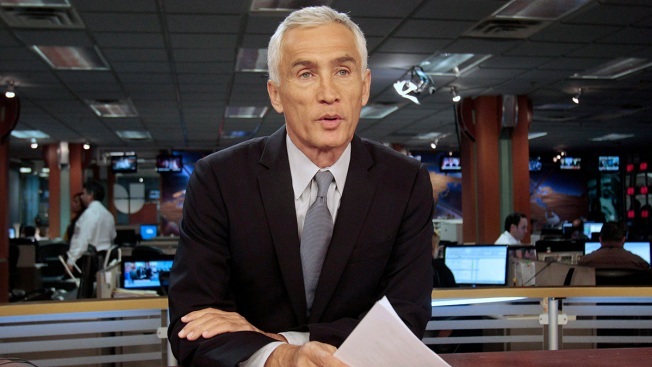 Venezuelan authorities on Tuesday deported a Univision news crew led by anchor Jorge Ramos hours after they were briefly detained at the presidential palace following an interview with President Nicolas Maduro, which was abruptly terminated over their line of questioning. Ramos said authorities told the Univision news team to arrive at Simón Bolívar International Airport in Vargas at 7 a.m. ET and board a midday flight to the U.S. Univision said the team was already scheduled to return to their base in Miami on Tuesday. The news crew, accompanied by U.S. and Mexican diplomats, was escorted to the airport by members of the Bolivarian National Intelligence Service (SEBIN), the repressive Venezuelan police force, according to Carlos Correa, who heads the Caracas-based free-speech NGO Espacio Publico. Speaking from Caracas Monday night, Ramos told Univision anchor Patricia Janiot during a phone call that aired on the network’s broadcast that he asked Maduro to comment on the fact that millions of Venezuelans don't consider him a legitimate president because of questions surrounding the validity of the results of the 2018 elections. He also said he asked Maduro whether he was a president or a dictator and to respond to accusations from opposition leader Juan Guaido that he was a usurper of power. Ramos said when he questioned Maduro about accusations of abuse and torture and then showed him video on an iPad he had taken a day earlier of young Venezuelans eating food scraps out of the back of a garbage truck, the leader cut short their interview after 17 minutes. The seven-person team was then held for more than two hours in the Miraflores palace and had their camera equipment and phones seized. They were eventually released, but without having their equipment and footage returned, Ramos said. "They stole my work," Ramos said. "My job is to ask questions." A spokesman for the union of journalists in Venezuela, known as SNTP, said the Univision news crews' equipment, which included four cameras, four monitors, microphones, lamps, and a satellite instrument, had not been returned as of the moment they were processed through immigration at the airport. The Univision journalists boarded an 11 a.m. ET flight bound for Miami and it wasn't clear if the plane departed without the equipment. Venezuela's government denied Ramos' account. They accused him of trying to stage an international incident after a senior State Department official and Sen. Marco Rubio relayed reports on social media of what they called Ramos' detention at the same time an interview shot earlier in the day with U.S. network ABC was being aired. 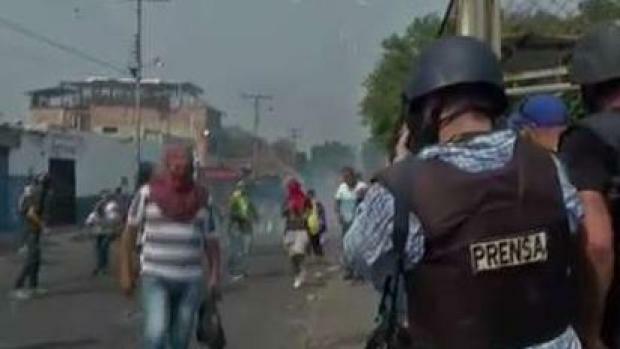 "Hundreds of journalists have passed through Miraflores and received the same decent treatment we give all those doing journalistic work," Communications Minister Jorge Rodriguez said on Twitter. Ramos, who interviewed Maduro's mentor, Hugo Chavez, three times, said Maduro accused him of siding with the government's opponents in the political fight for power now raging in Venezuela. More than 50 governments around the world have recognized opposition leader Juan Guaido as Venezuela's rightful leader after Maduro was sworn in for a second term last month following what the critics say was an illegitimate election. Ramos has previously angered one of Maduro's strongest critics: U.S. President Donald Trump, who famously had the journalist removed from a news conference on the campaign trail in 2015 when he asked about his anti-immigrant views toward Mexicans.